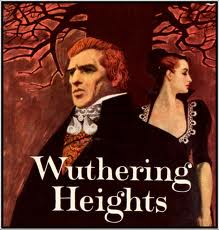 As a novel-in-stories, the book borrows the best of both worlds. The short story form — with its compression of events, dismissal of the particulars of plot and preoccupation with small shifts in consciousness — is used to full effect, and the novelistic arc and recurrence of characters gracefully pulls a reader from story to story. 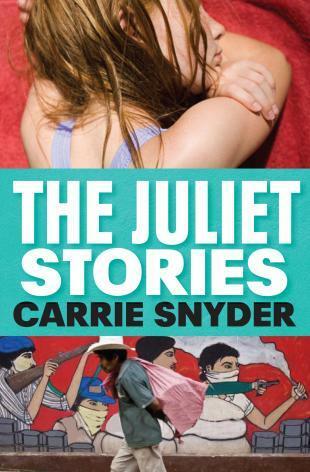 The Juliet Stories is a lovely meditation on the meaning we create with the gifts and flotsam of our lives. 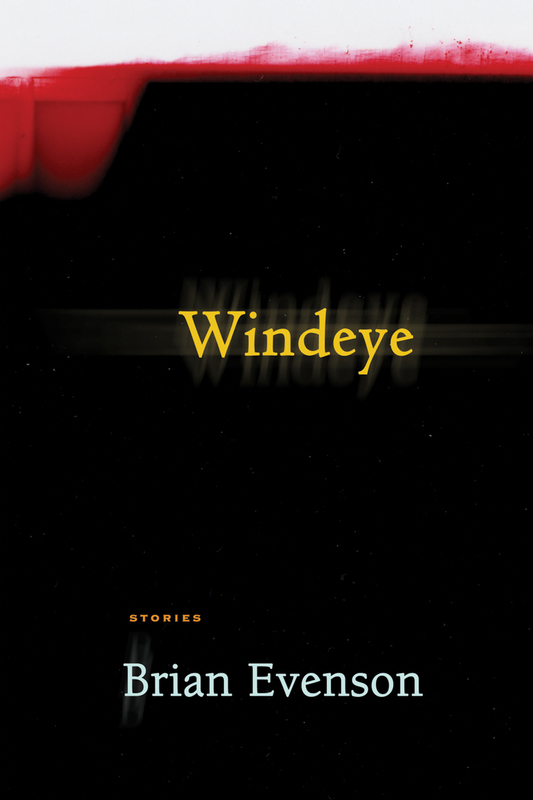 I fell in love with this collection when I read the book’s opener, ‘Manning’, in Canada’s most recent Journey Prize Anthology. The book is worth the admission price for this story alone, a first person coming of age narrative about a boy selling baseball cards (!) that is both funny and poignant, but never feels sentimental or overwrought. I was struck by the liveliness of its language (which made me want to run to my own notebook) and the down-to-earth accuracy of its insights. Finally -- I loved this story’s ending, which is both unexpected and totally fitting, and made me understand something mysterious and essential about the mother and son at the story’s core. In general, Hood excels at summing up people in short, judicious strokes. Here’s an example from ‘The Price You Pay for Leaving the House’: “The woman was attractive in a mature, tired-looking way, the way women are attractive on the bus after everyone’s had an ungovernable day.” Hood’s people are often hapless, their actions random or seemingly uncontrollable, but the author’s control of his craft is exemplary. 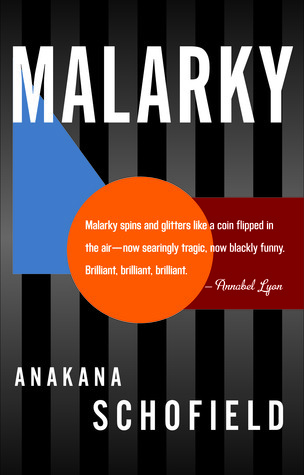 Malarky is a book deeply rooted in the consciousness of a middle-aged Irish farmer’s wife and mother, Philomena, or ‘Our Woman’, who is grieving the loss of both her husband and son. Philomena’s story is remarkable for the way in which it immerses a reader in the extreme disorientation and overpowering sorrow of loss. The narrative is fractured and discursive; it loops and soars and doubles back. But if this sounds overly complicated or esoteric, it isn’t, mostly because Philomena is so brave and flawed and strange a character and her means of dealing with her losses so, well, human. 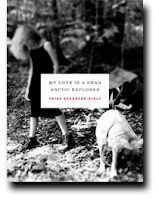 This is a funny, raunchy, moving read, written in beautiful, brave prose. 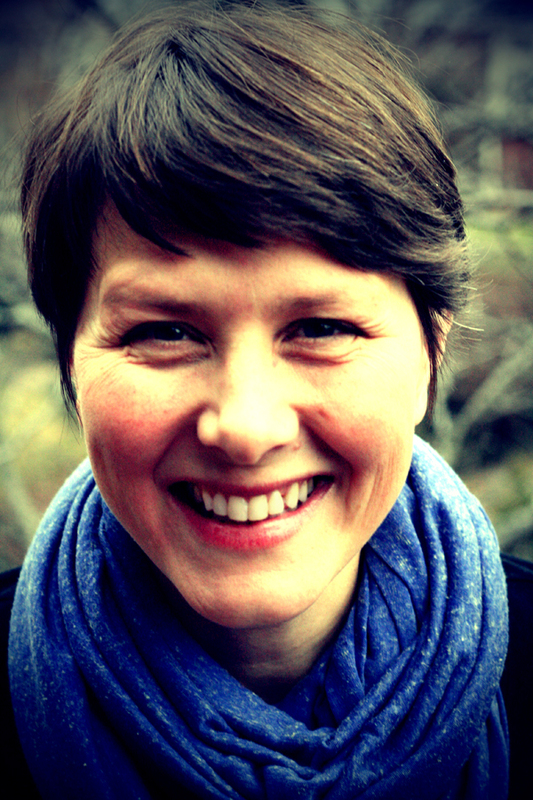 Heather Birrell is the author of Mad Hope and I know you are but what am I?. 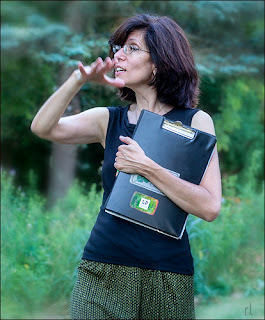 She lives with her husband and two daughters in Toronto, where she teaches high school English by day and creative writing to adults by night. To be as unbiased as possible I will leave out the books I published this year, though I would not have published them if I didn’t think they were among the best. Those books are Temporary Yes by Kat Dixon and So Hold Me Tight And Hold Me Tight by bl pawelek. ADP also re-issued Ben Tanzer’s debut novel, Lucky Man and a collaborative poetry collection, You Are Jaguar by myself and David Tomaloff, and in order to not sound conceited I will give credit here to Tomaloff. It is a wonderful gift to see a new story collection from Driscoll, whose debut collection Wanting Only to be Heard is, in my opinion, one of the best story collection of all time. 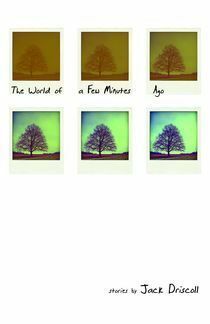 The World of a Few Minutes Ago does what all of Driscoll’s books do, it breaks your heart bit by bit, but with such an immense amount of love for his characters and his readers that you manage to be filled with the worlds he creates and feel the truest range of emotions possible. Driscoll cements himself as one of the finest writers of his time and certainly the best practitioner of three-dimensional characters I’ve ever read. 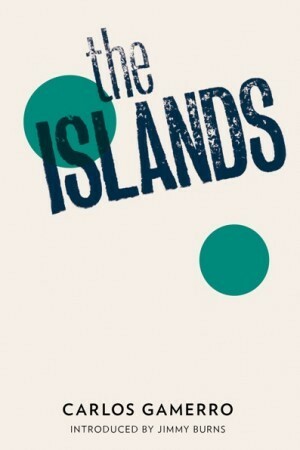 Sirois’ debut novel took me by surprise. It is a story of many kinds, it is a quest story, a war story, a story of friendship, and a story of love. The book manages to be political without being political, it manages to humanize the effect of war on civilians and also make us forget the war background by deftly portraying the struggle of existence. In focusing on his heartfelt characters Sirois manages to do more to show the wrongs of the world at large than could have been done with a heavy hand. This year I stumbled on Ackerson-Kiely’s work and I couldn’t be happier that I did. My Love is a Dead Arctic Explorer is her second collection and it is phenomenal. The poems have art, soul, and humanity. Everything you can ask for, and I can’t wait to read more of her work. I expected Seigel’s debut collection to be good, but not this good. 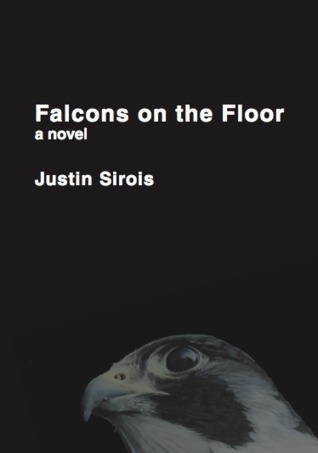 Inspired by the midwest, Michigan in particular, Seigel’s poems do for the economic struggles of small towns and small town people what Falcons on the Floor does for politics and war. THere is nothing but humanity here. Battered, scarred, but never quite down for the count. Noftle’s poetry accomplishes the trick of combining science, nature, and facts in general into deeply personal and beautiful works of art. 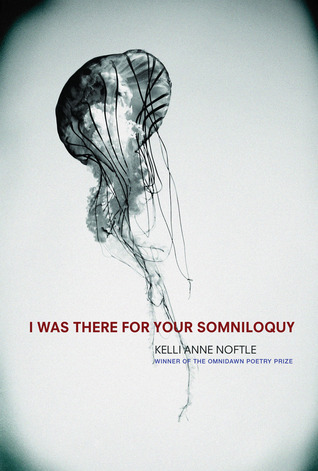 Noftle deftly uses each poem to create transitions between sleeping and waking, between the brain and the heart. Ryan W. Bradley is the author of three chapbooks, a story collection, PRIZE WINNERS (Artistically Declined Press, 2011) and a novel, CODE FOR FAILURE (Black Coffee Press, 2012). 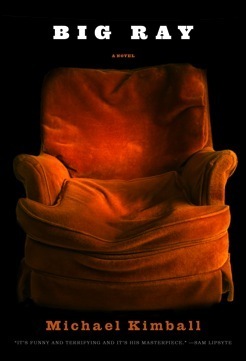 In 2013 Curbside Splendor will publish THE WAITING TIDE, a poetry collection homage to Pablo Neruda. 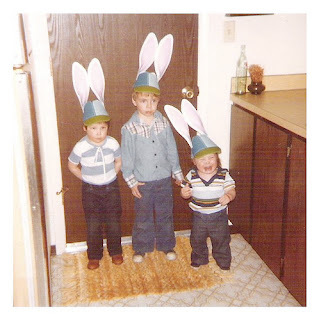 He received his MFA from Pacific University and lives in Oregon with his wife and two sons. This book got sent to me in galley form by an indie bookstore pal who knows my twin passion for fairy tales and content that mixes subjects artificially kept in separate ghettoes--and I haven't been able to thank him enough. 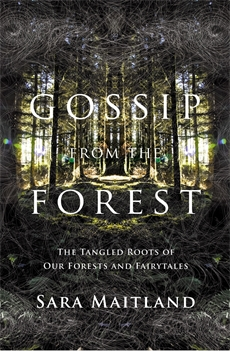 "Gossip from the Forest" grows from essays about the forests of Great Britain, the author walking in them with her dog and a series of friends, and musing on their history, their relationship to our shared past--most of all, their relationship to the stories that form our present. She adds to each of these essays one of her own takes on a fairy tale, each one absorbing, entertaining, and more than worthy of extended contemplation. Preferably while you walk in a wood of your own. Given to me by a scientist friend, who enthusiastically endorsed it as his favorite book of all time--and I could see why from page one. Framed as a traditional action packed science-fiction-we-must-save-the-world-from-alien-invasion-and-we-only-have-this-much-time plot, it twists and subverts that plot by making the only possible savior a six year old boy, born, raised, and trained for just this mission. 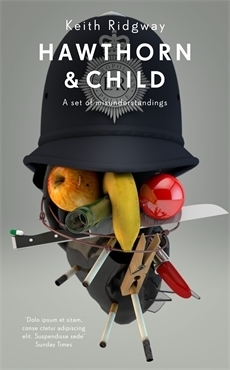 An extended meditation on the cruel ways we drive and abandon our children in a culture increasingly driven by competition and dominance needs, it hides this deeper meaning in a thrilling plot that reveals rather than betrays its own significance. The end is astonishing. A classic. Really. 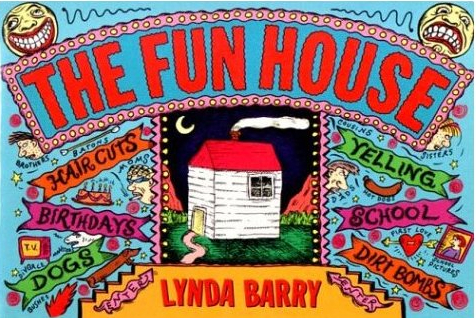 Speaking of classics...I came to this book in adulthood, when it was described to me as a favorite of a favorite niece. 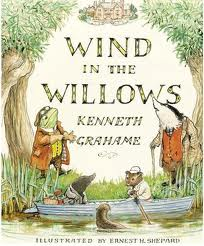 And I've never looked back, rereading it every year, and more than that--whenever I find myself in the depths of the Slough of Despond, I turn to a copy and, reading about the adventures of Mole as he discovers his true self in the world of the Wild Wood, the River, and Toad Hall, never ceases to raise all of my spirits back up to their best level. When I'm homesick,I re-read the chapter "Dulce Domum," because when I cry again and laugh again, I remember how lucky I am that I, like Mole, have found a home of my own to love. In my experience, finding a book that you love is the first step to finding that home, and "Wind in the Willows" is a great first best step. 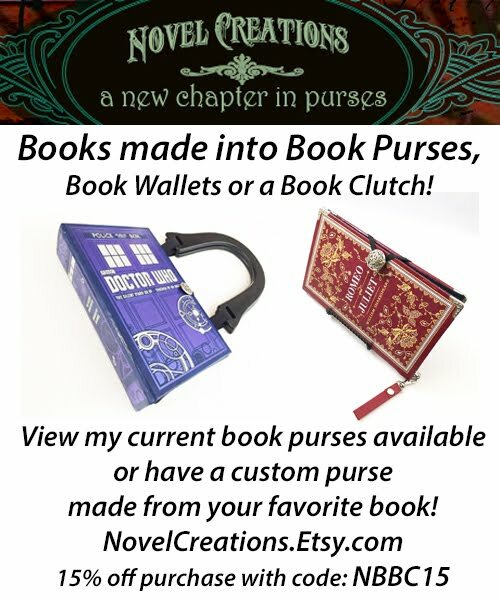 Tod Davies is in constant communication with the world of Arcadia, about how fairy tales affect that world and our own, resulting in the first two of The History of Arcadia books, Snotty Saves the Day and Lily the Silent. 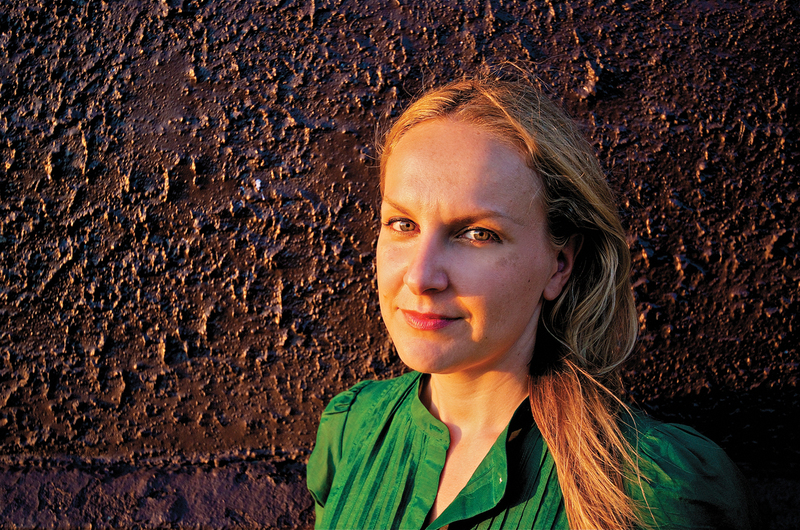 She's also the editor and publisher of Exterminating Angel Press, concentrating on books that show how stories form culture, and what they can do to make that culture a more human place. Which is what we all want, right? RIGHT? I was lucky enough to review some terrific books in 2012 for Ploughshares, TriQuarterly, and Necessary Fiction, and I could make a solid best of the year list from only those. I could also make a list of great books including only those published by friends, but I'll resist (though I genuinely believe Robert Kloss' The Alligators of Abraham and Amber Sparks' May We Shed These Human Bodies—to name only two—belong on a best of 2012 list, friends or no). This is a book I learned of via the promotional efforts of John Self, on Twitter, his blog, and at the Guardian. It sounded so good I ordered a copy from the UK (though there's now an American edition forthcoming from New Directions, thank goodness), and it more than lived up the hype, never mind the cost of shipping. It's a terrific novel, or un-novel, or whatever you want to call it, and a brilliant play on the genre of detective fiction. I love a book that strings me along, confounding my readerly expectations to lead me somewhere unexpected, and Hawthorn & Child does just that. 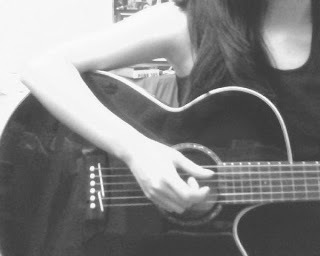 Masterfully. Ridgway's earlier novel The Parts also relied on interwoven and sometimes overlapping storylines (and I've really enjoyed thinking about how one book may have led to the other), this time the stories overlap in only the most peripheral ways—sometimes literally, as the recurring characters of detectives Hawthorn and Child are glimpsed at the edge of someone else's story. 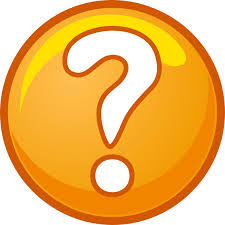 At first I was looking for those connections, trying to "solve" the mystery of the novel and how to read it, and expecting it to behave in a familiar way. But the more I read, and the more Ridgway dropped clues about how to read the book (and how not to), the more I reveled in the absence of connections and the sheer unsolvability of it. The unlikeliness of any story resolving, or adding up to something, became almost hilarious—albeit bleakly, pretty much like our lives, or like mine anyway—and the process of looking for clues became more satisfying than any answers I might have initially wanted to find, which is also like life, isn't it? I'm already looking forward to rereading this, and to talking it up even more when the US edition is published in 2013. Jim Krusoe has been a favorite novelist of mine for years. There's a deadpan absurdism to his style, which is probably my favorite type of fiction—it's what draws me to writers like Jean Echenoz, Stacey Levine, and Grant Bailie, among others. And I think Parsifal is Krusoe's best book to date: the voice is as understated as ever, and as always there's an emotional and intellectual complexity lurking under a deceptively simple surface. 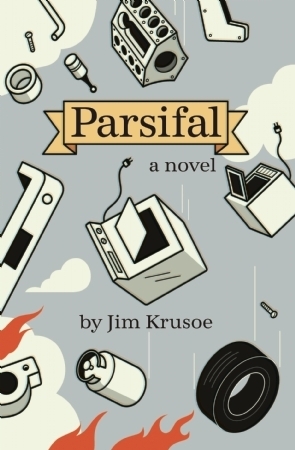 But this time he's played with structure in a way previous novels didn't, and has created a one of a kind work about an orphaned fountain pen repairman and his quest for a lost cup—that's right, Parsifal and his grail—from childhood. It's dark, and funny, and sad, and strange, and all the things I love best in fiction. This is a novel I actually did review, but I couldn't list my books of the year without it. 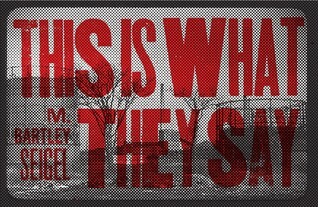 It's a sprawling, violent, surreal, heartbreaking story about war and politics and national memory and the Falklands War and Argentine history and drugs and capitalism and... well, pretty much everything else in one way or another. It's one of those big books that becomes fully immersive, pulling you (at least, me) so deeply into its world that hundreds of pages go by in a blink and even when you put the book down to do other things you're still in it. Inexplicably, it hasn't (so far as I know) been picked up for US publication, but it really should be. It should be read and talked about and thought about and learned from in any number of ways. 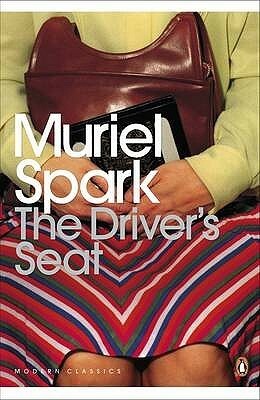 For no particularly reason I'd never read Muriel Spark before, but The Driver's Seat is a creepy, compact novel with masterful control of how much the reader knows, and how soon. It's the kind of book you could read several times in a row to marvel at in different ways each time. 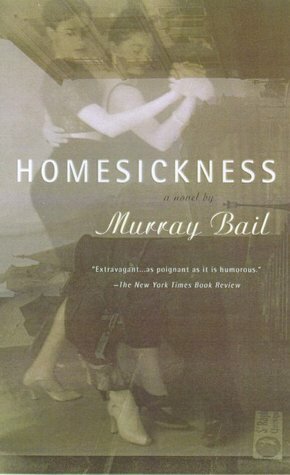 Before picking this up I knew Bail from his short stories, mostly through anthologies of Australian fiction, but this novel is the best I've read by him. It's follows a group of package tourists on a trip around the world city by city and museum by museum, with an unsettling but often hilarious tension around how literally to take what's going on. Every location and object and scene seems rich with suggestion and metaphor, but in ways that are never quite reduced to clarity so never sapped of their momentum and intrigue. Steve Himmer is author of the novel The Bee-Loud Glade, and editor of the webjournal Necessary Fiction. Why Be Happy When You Could Be Normal? 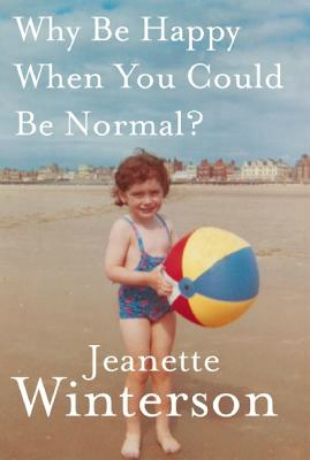 Jeanette Winterson's memoir of growing up in bleak Northern England is compelling, lyrical and honest – unlike so many other recent memoirs. I read it one sitting. 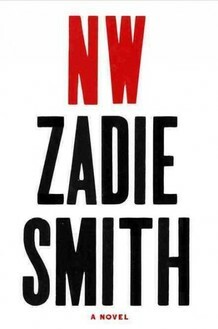 NW Once again, Zadie Smith captures the essence of London in this striking novel about a group of young men and women trying to find themselves amid class struggles, racial divides, marriage and familial discord. 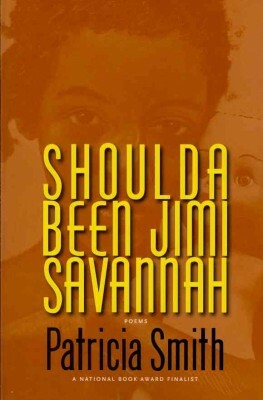 Shoulda Been Jimi Savannah: Poems Patricia Smith continues to dazzle with this new collection that has the migration of African Americans from the south to the north at its uncompromising core. It's also a love letter to her native Chicago. A must-read. 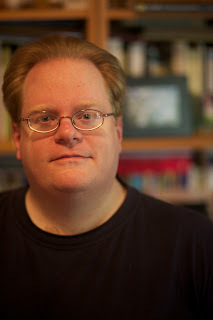 Collin Kelley is the author of the novels Conquering Venus and Remain In Light, a 2012 finalist for the Townsend Prize for Fiction, and the eBook short story collection, Kiss Shot. 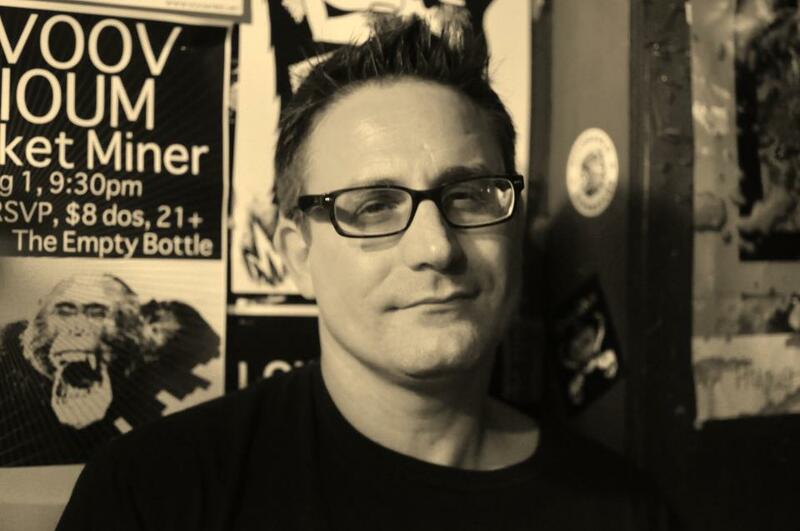 His poetry collections include Better To Travel, the spoken word album HalfLife Crisis, Slow To Burn, After the Poison and the forthcoming Render (April 2013, Sibling Rivalry Press). The books I chose to highlight for 2012 are books I've read before; many times before. And rereading them gives me just as much oomph and pleasure and, yes, surprise - because when a piece of writing is a piece of art, it never gets stale, it meets you where you are and gives you the gifts you can accept at that moment. And when you grow more, and expand as a reader, it's waiting for you there, too, to offer even more. "Ernie Pook's Comeek" introduced me to the genius of Lynda Barry. THE FUN HOUSE exists in several media - words, pictures - but its real terrain is Youth: not an idealized or ironic or everyone-learns-a-lesson visit, but a current native's view of what it feels like to grow up, hurl dirt bombs and experiment with barrettes, worship your teenage sister, look askance at adults, cry because you know, know, that no one has ever been as sad as you are now. I wish I had read this when I was eleven. I recommend it everyone who has ambitions to write YA. THE SATYRICON is a martini with a diamond for an olive: sharp, brilliant, chilly, and after you've drunk it down, hilarious. Gaius Petronius tells a story of Nero's court with a wink, a sneer, without naming names, like the best gossips who flatter you as if you're already in the know. I have the William Arrowsmith translation; there are many available, or you can imbibe it in the original Latin. There's a reason this story has lived for so very long. 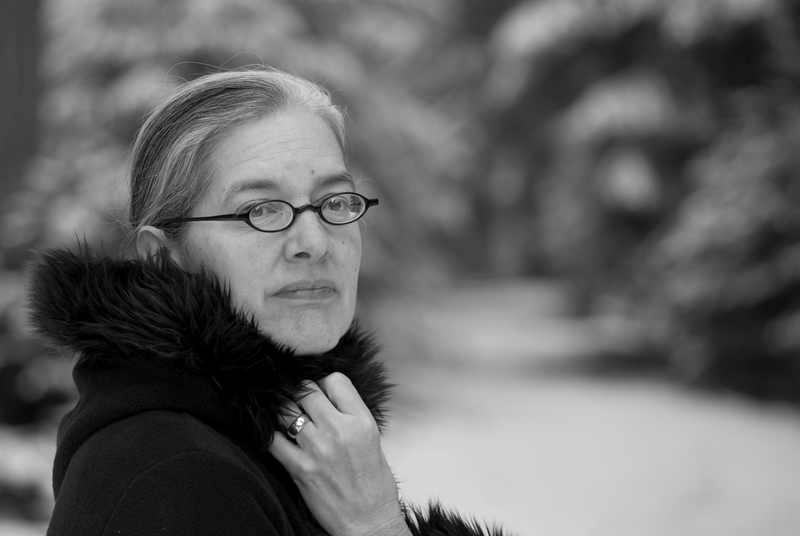 Detroit native Kathe Koja's award-winning novels include THE CIPHER, BUDDHA BOY, TALK, SKIN, UNDER THE POPPY and the forthcoming THE MERCURY WALTZ; her work has been optioned for film and adapted for performance. 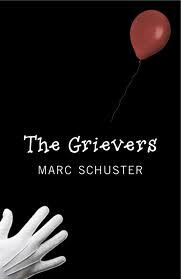 "The Grievers is a dark-humored and geeky story of Charley Schwartz, an aspiring PhD in Fine Arts man-boy scraping the bottom of the barrel for ambition. He is socially ambivalent but certain that he doesn’t want to deal with the hard facts of adulthood like change, death, and 9-5ing. In addition to struggling with an overgrown quarter-life crisis, Charley finds himself tormented over the suicide of a former classmate. Having ignored and avoided his childhood friend, Billy Chin, the years following high-school, Charley feels the need to redeem himself by arranging a fundraising memorial in Billy’s memory. All in all, Schuster has an amazing sophomore novel on his hands. 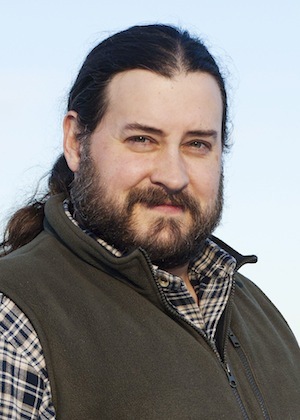 His writing has matured; he’s fine-tuned his approach and can effectively drive a story from start to finish with subtle tactics and engaging characterizations." 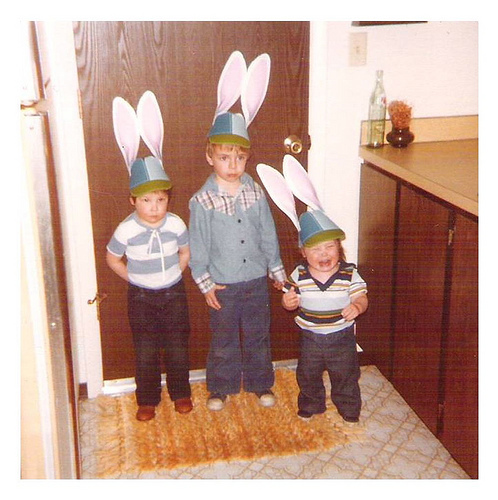 "An epic emotional journey, Wally is more than a slew of diary entries and letters home. 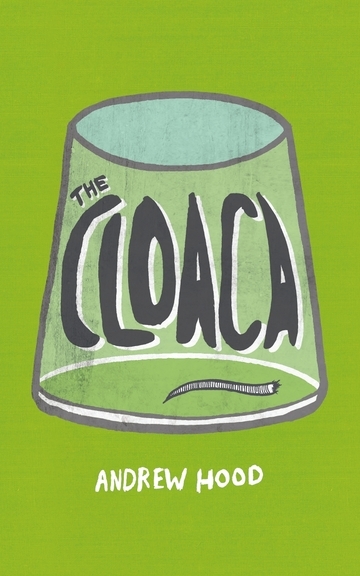 This novel uncovers a man’s psychological transformation as his medications leach from his system, and he travels the distance of nearly two countries. Wally exposes how his dysfunctional and abusive upbringing has left him a shattered man who passes his childhood horrors onto the only person who has ever truly loved and trusted him. A hard-hitting and beautifully written book, Don Peteroy takes readers on a gravely emotional and thought-provoking journey, one that resonates long after Wally reaches his destination." "This is a common tale told in an uncommon fashion about an “ended before it began” relationship which was strained and then destroyed by the behavior patterns of a manic-depressive named Anselm. 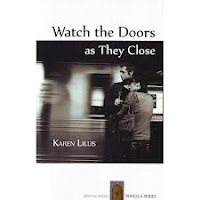 Lillis has paired the ordinary storyline of a dysfunctional relationship with her eccentric writing style, and together, they work wonders for the underlying goal of the novella. One of the finest pieces of independent contemporary literature of 2012, Lillis has broken the mold of the classic New York City love story." 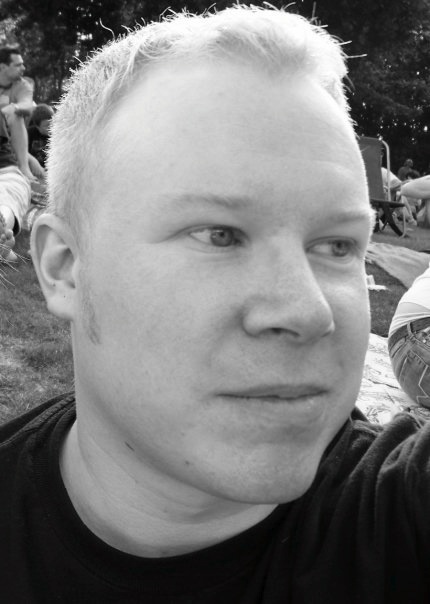 Caleb J. Ross has a BA in English Literature and creative writing from Emporia State University. His fiction and nonfiction has appeared widely, both online and in print. He is the author of five books of fiction and is a core contributor to The BookTube Vidcast, a columnist at ManArchy Magazine, and is the creator of The Book Burning Channel, a YouTube channel featuring humorous book reviews, literary skits, writing advice, and rants. 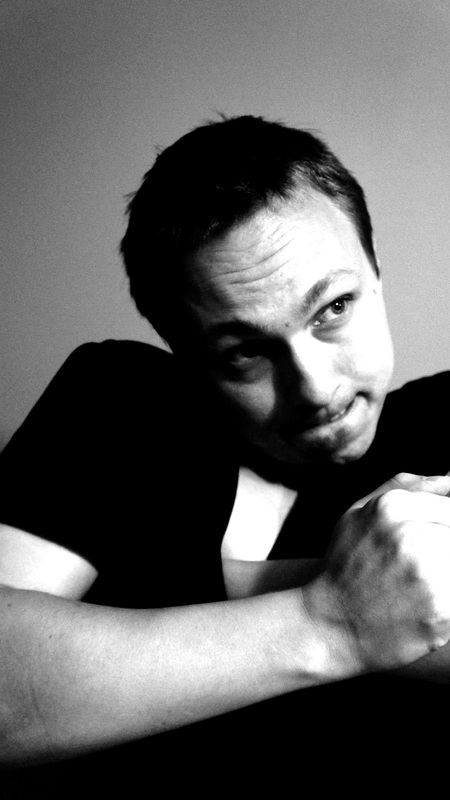 Visit his official page at http://www.calebjross.com. 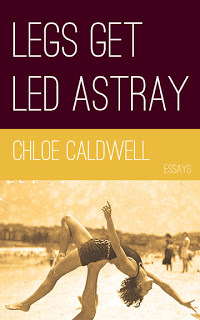 Legs Get Led Astray by Chloe Caldwell - Essays about being young searching, and hungry to consume everything in front of you because it's in front of you and it's new and it must be experienced, tortuously deconstructed, left behind and found again. 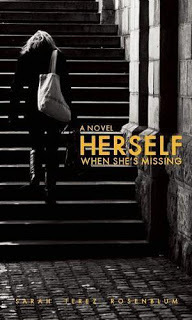 Herself When She's Missing by Sarah Terez Rosenblum - Overwhelming in the ways we want books, and sometimes lovers, to be, grabbing our brains and emotions with both hands, and not letting go. 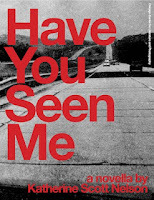 Have You See Me - A Novella by Katherine Scott Nelson - Urgent and desperate, and ultimately a reading experience that leaves the reader hopeful for places literature may yet go in an ever-bending new world order, literary and otherwise. 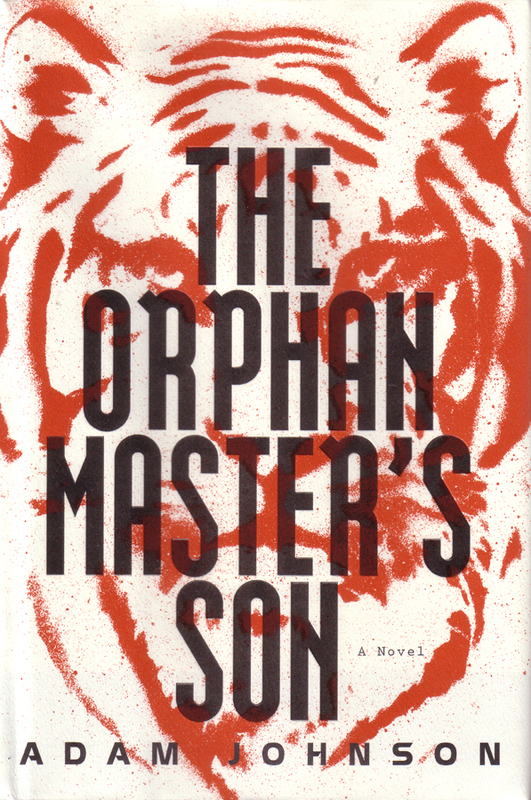 Ben Tanzer is the author of the books My Father's House, You Can Make Him Like You, So Different Now and the forthcoming Orphans, among others. Ben also oversees day to day operations of This Zine Will Change Your Life and can be found online at This Blog Will Change Your Life the center of his growing lifestyle empire. 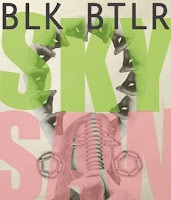 Sky Saw is wonderfully brutal. Using acknowledged characters in a way Butler hasn’t before, the narrative arc is surprisingly tangible, combining the purest of Butler’s linguistic distress with a torturously beautiful story. There is almost no way to prepare for Big Ray. 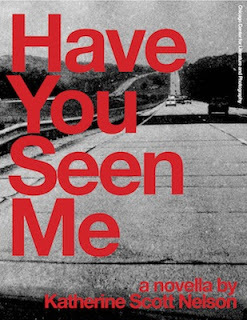 This is a book as sad as it is stunning, and like all of Michael Kimball’s previous novels, it is a book you will experience rather than read. 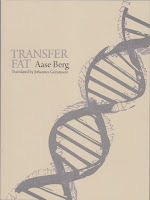 Transfer Fat is the best installment of Göransson’s Berg translations to date. 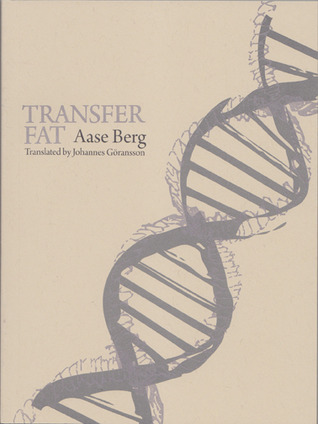 Riding waves of liquid language through the simple and complex alike, Berg’s collection delights in all that makes poetry important and gorgeous. 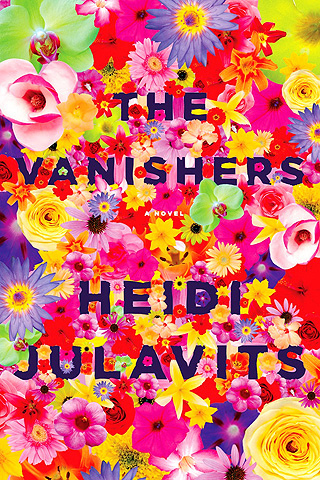 The Vanishers by Heidi Julavits - I absolutely loved this book and the idea of how we can psychically harm each other. The Vanishers is phenomenal look at the ghosts within us and that forever quest of searching for where we came from. The Collected Works Vol. 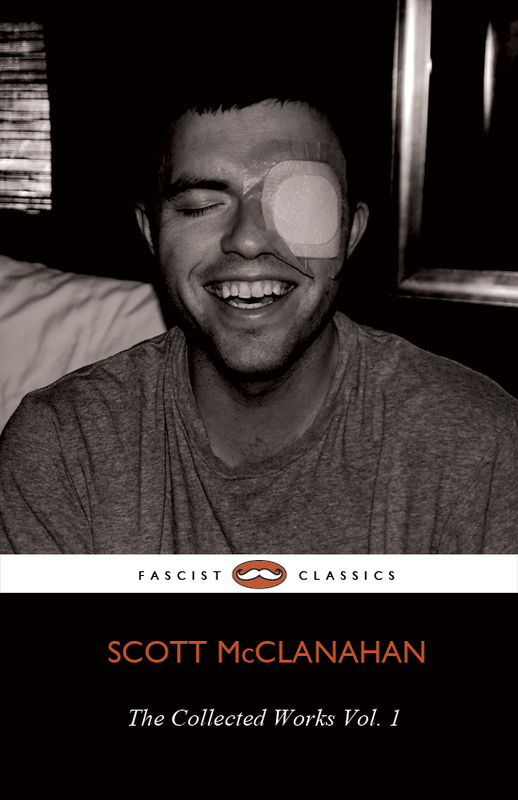 1 by Scott McClanahan This deceptively simple story collection will leave you reeling. I'm a huge fan of McClanahan's work and these stories about growing up in Appalachia are unlike anything I've really seen. Humorous and fast-paced, you won't know what hit you. Maidenhead by Tamara Faith Berger Unrelenting, unrelenting, unrelenting. Maidenhead is a forceful look at what it means to be a girl today. I found myself thinking of myself at that age and my own look for darkness. 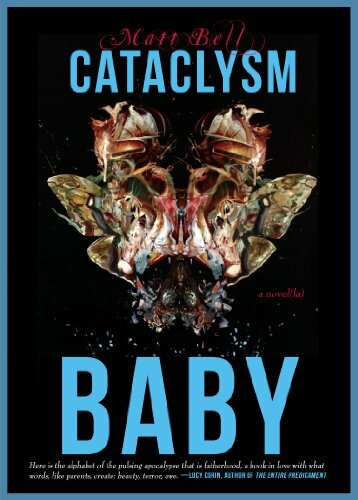 It's a really beautiful and brutal book - a new spin on the coming of age novel. 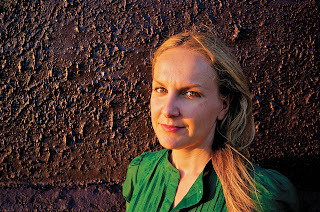 Karolina Waclawiak is the author of How To Get Into the Twin Palms. She lives and writes in Brooklyn. I look forward to watching what these authors are reading (and writing) in 2013! Happy holidays, everyone! Excellent collection! 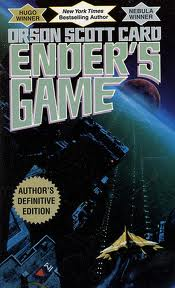 A couple there that would be on my list: The Cloaca, Parsifal; one that definitely wouldn't be: the Zadie Smith; at least one that I want to read: Homesickness; one all-time classic: Ender's Game. Thanks for getting them all together!